This fine creature flew over my head and stayed still long enough for me to take a portrait. Short lens, it was nearing dusk - Mitchell Ponds trail. 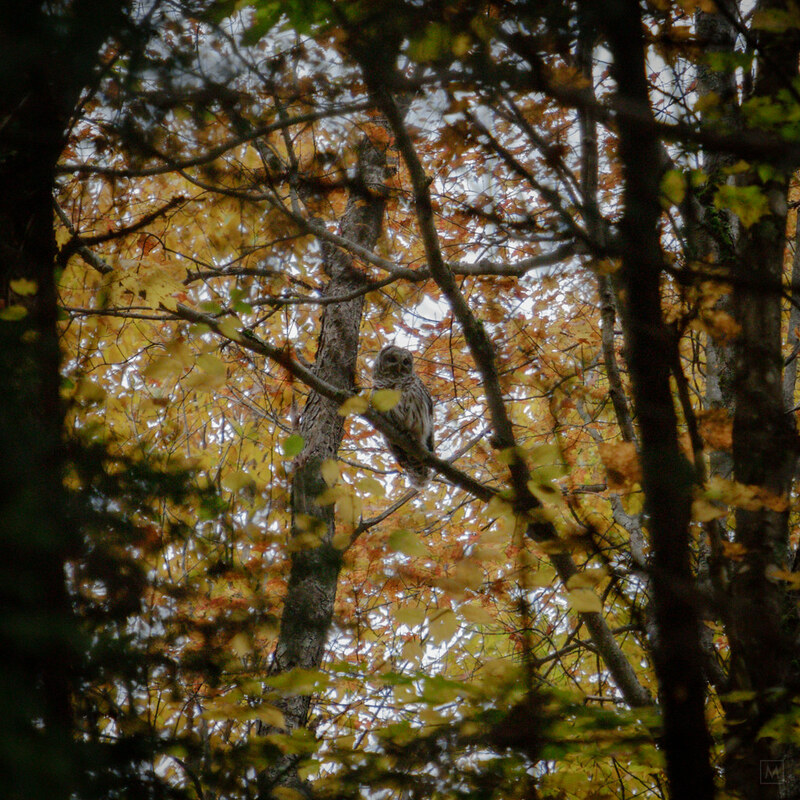 Definitely a barred owl. Great photo!